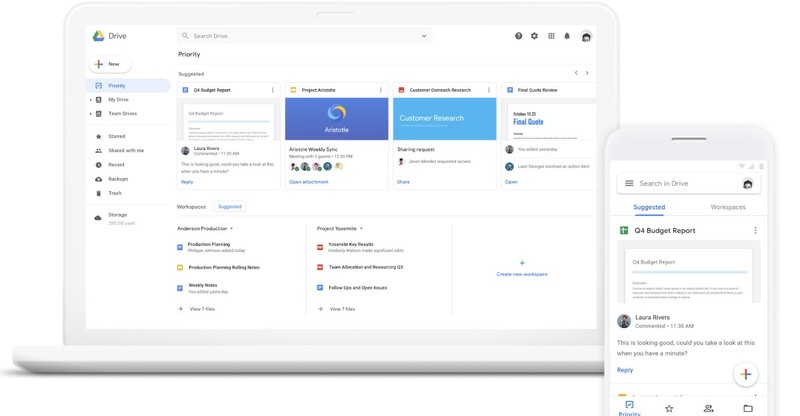 Google's 'G Suite' of apps and services has been applying machine learning everywhere over the last couple of years, and the latest update it's testing for Google Drive goes a bit further. Two years ago it launched the machine learning-enhanced Quick Access feature to put files it thinks users need right in front of them before they even start searching. Google said users have reported that feature saves about 50 percent of their time. 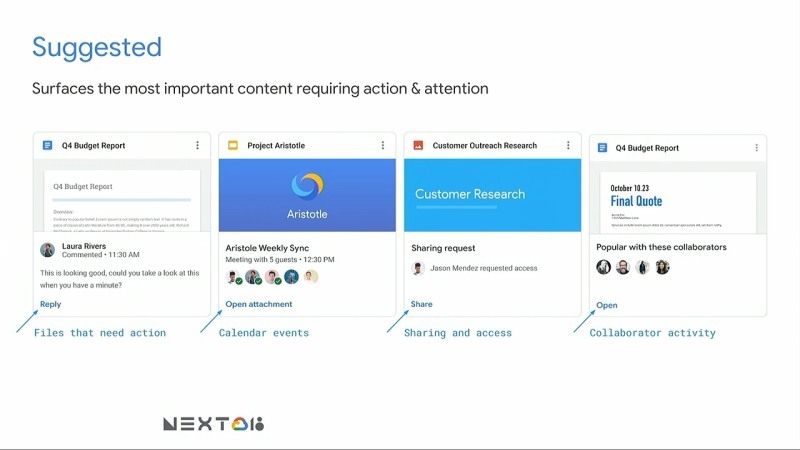 The new feature, first mentioned during the Cloud Next 18 event earlier this year and in development pretty much since Quick Access launched, is Priority. It lives in the left-hand column for easy access to files and comments. It goes a step further and digs into activity, calendar events and notes made be everyone in an organization to figure out which files are the most important to deal with right now, or at a particular time of day. The other part of Priority is Workspaces, where a user can organize files and folders you're working on in whatever way makes sense for them -- and yes, it can slot entries in automatically if you prefer. We'll see if it's "thoughtful" enough to be helpful without invading privacy, which may be one of the reasons it's launching in beta right now. To try it out, the admin of your particular organization needs to opt-in, which can be done here.